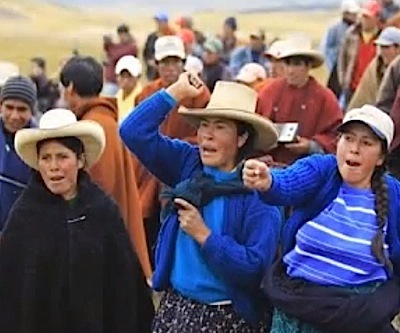 Peru's ombudsman office, Defensoría del Pueblo, published a report (in Spanish) showing that three new mining conflicts arose in the country last month, taking the nation’s social problems up to a staggering 225, just in May. From the total, at least 76% social conflicts are still ongoing, said the authority, while the rest are controlled but not solved. Socio-environmental struggles were the most numerous, with 149 cases (66.2% of the total) related to mining activities (108 cases) and hydrocarbon projects (19 cases). The body warned about the situation in the gold-rich Cajamarca region, where the world's number two gold producer, Newmont Mining (NYSE: NEM), continues to struggle with its $4.8 billion gold-copper Conga project.